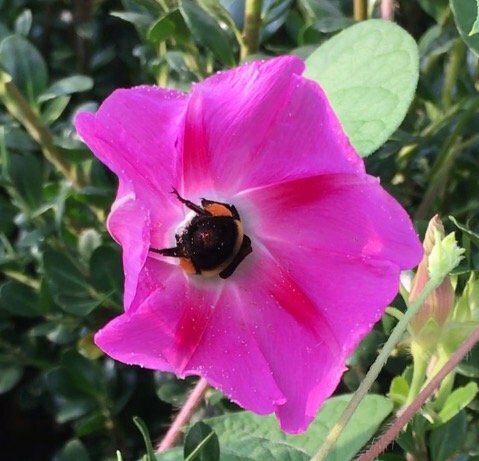 Morning Glory Meets Bumble Bee & The Results Are BuzzworthysteemCreated with Sketch. 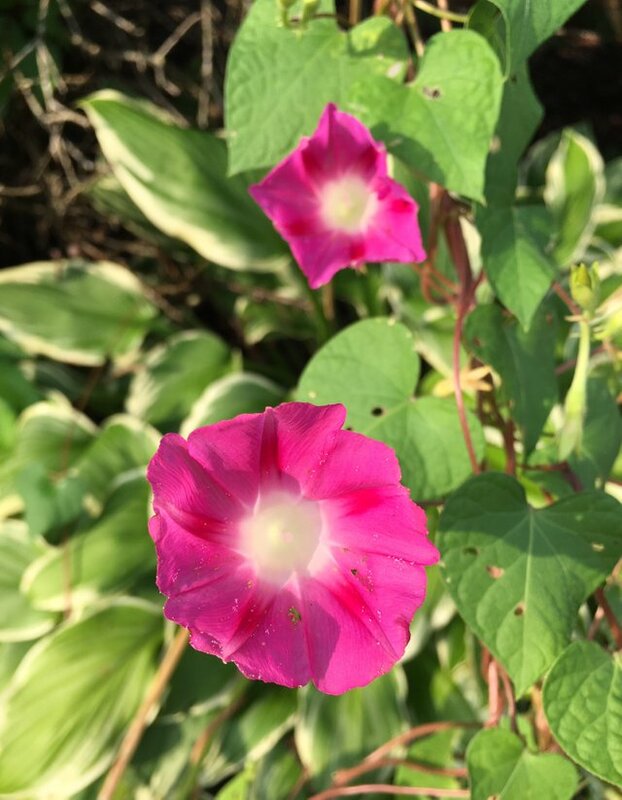 The gorgeous morning glories that line my front hedges continue to be a source of inspiration and joy as they open every morning to greet the sun and celebrate each new day. 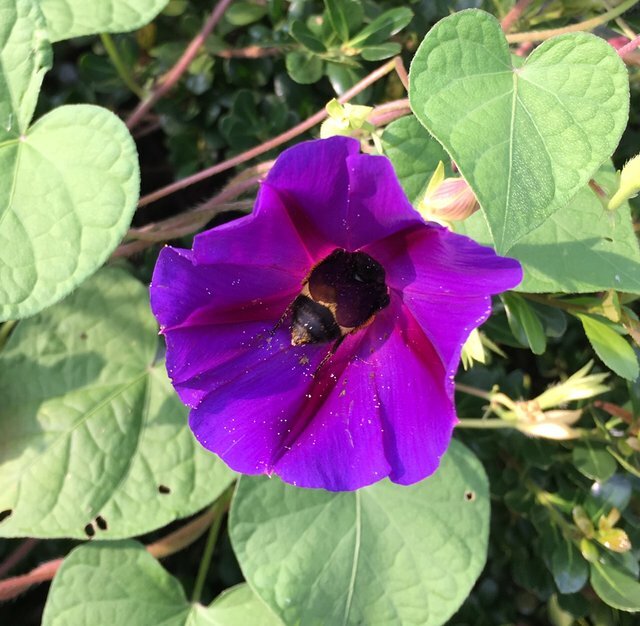 I have been fascinated to find that I am not the only one that appreciates them as I find new critters enjoying them everytime I take time to observe. 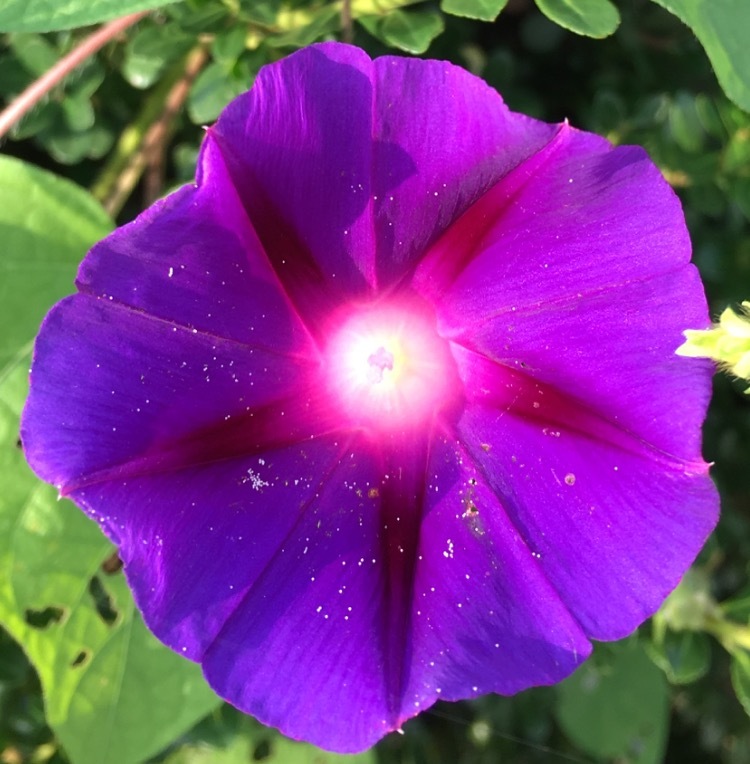 The glowing blooms are hard to resist, but this morning as I was leaving bright and early for an estate sale (haul video coming soon) I captured a moment of nature's beauty so lovely I was compelled to share. 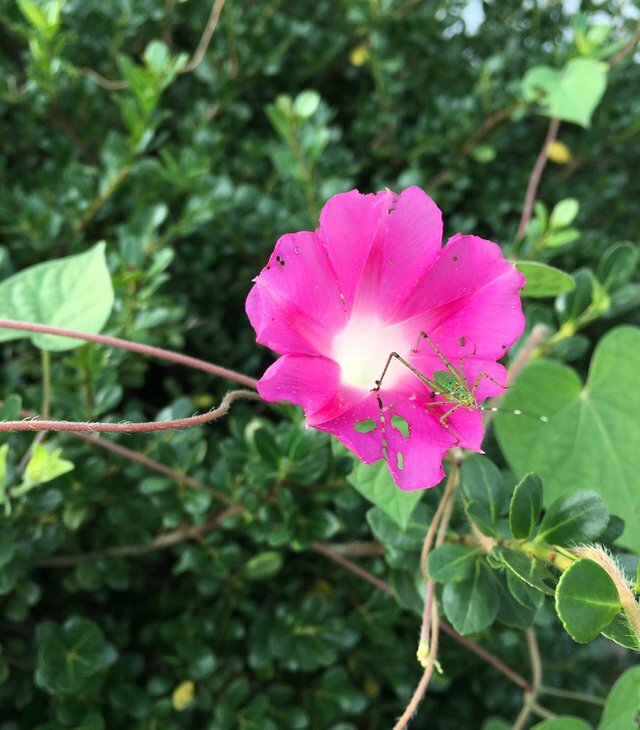 As I walked past admiring the morning glories I notice one of them shaking... 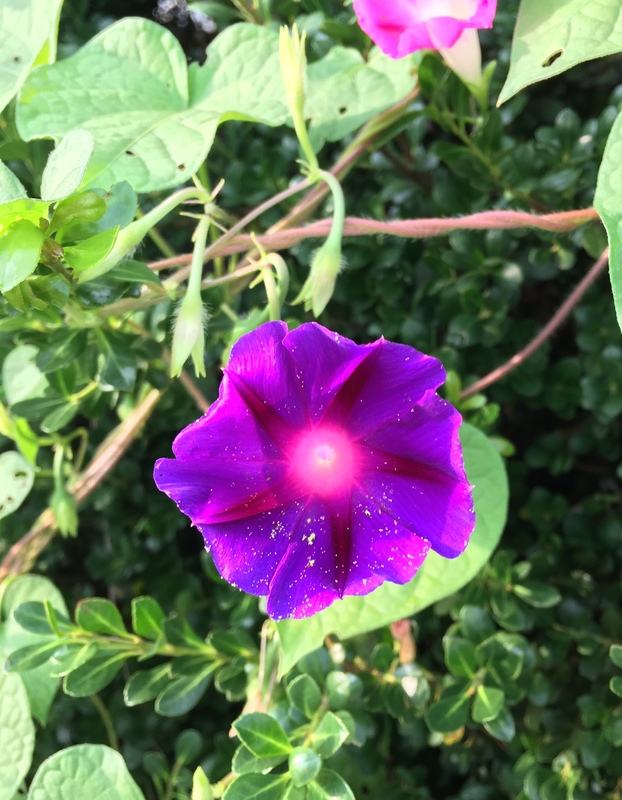 I looked closer and saw something protruding from the glowing center of the bloom. 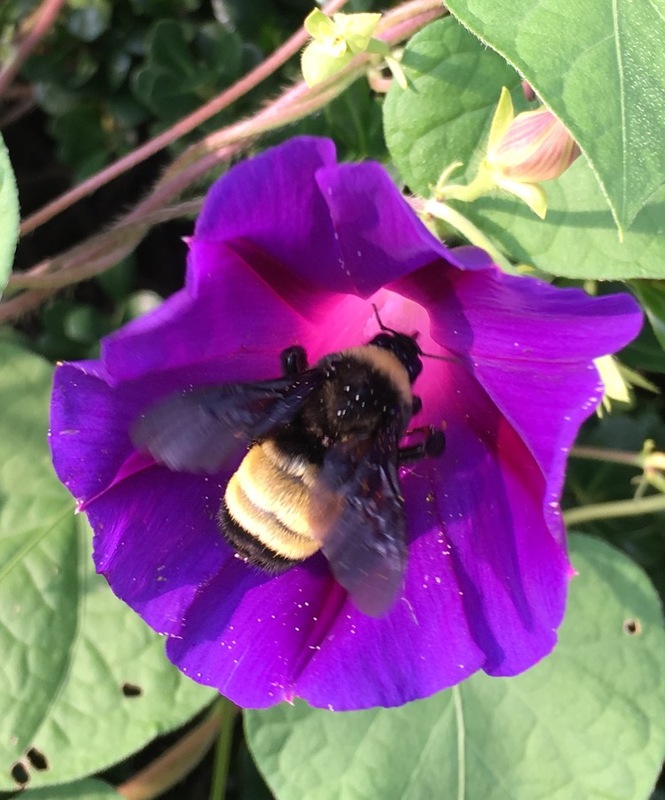 I realized it was a bee bottom! 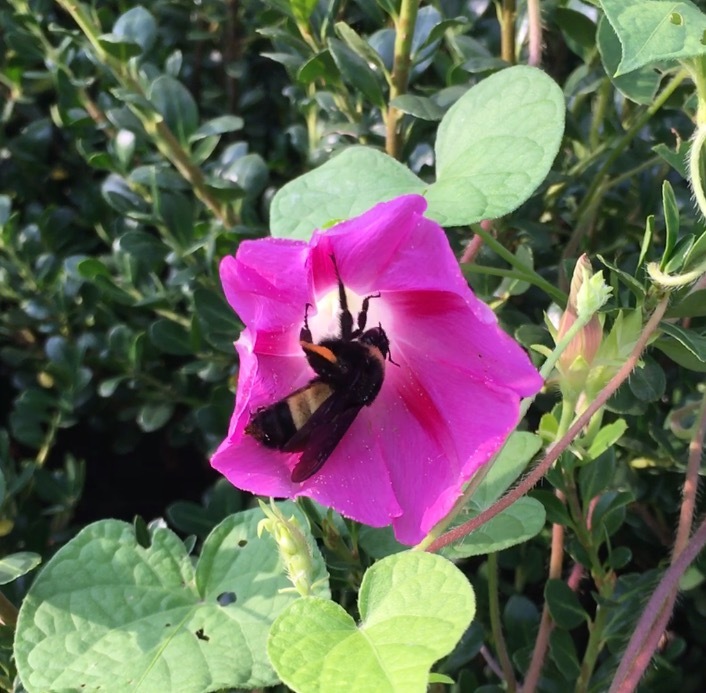 Luckily as always my iPhone was close at hand and I was able to capture this video of the little bumbler at work. 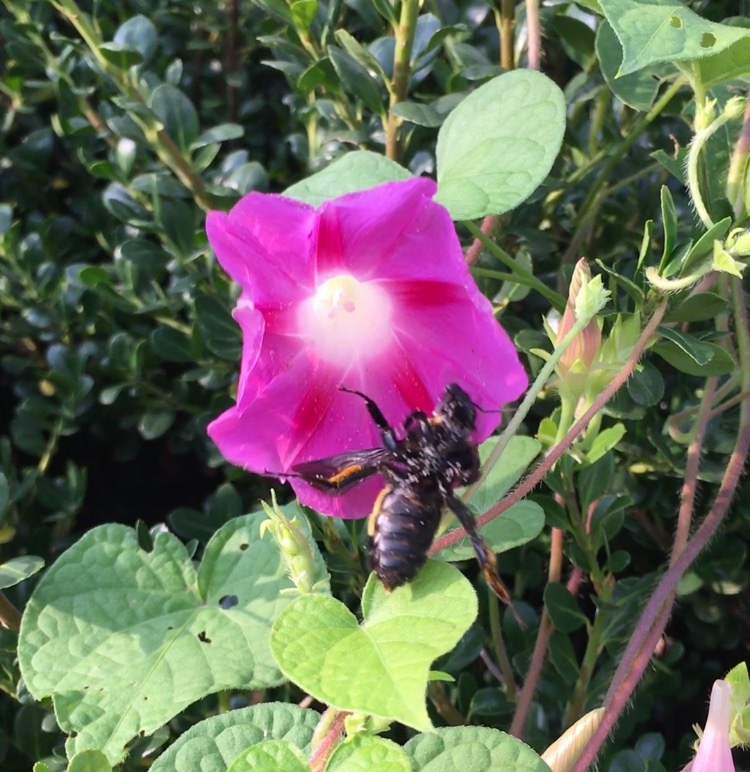 Once viewing his move still by still I became aware of just how athletic his bee exit was. 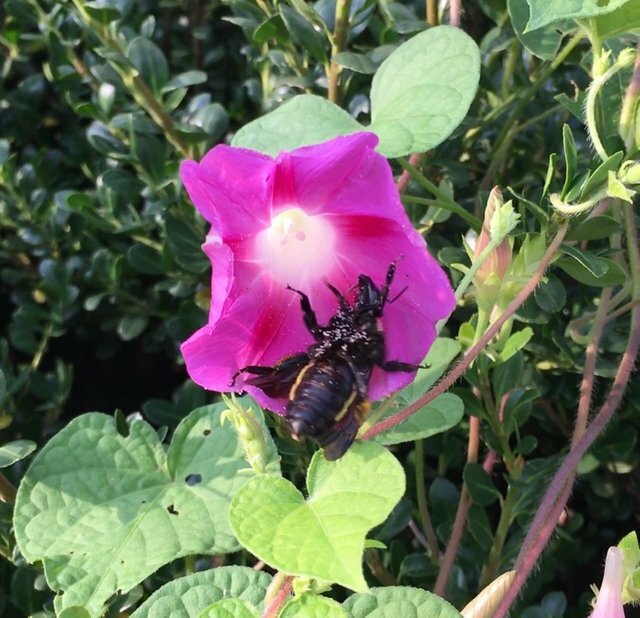 He was not simply just backing out of the flower, he was flinging himself backwards in an epic barrel roll move to achieve a position and distance from the flower to once again use his wings for flight. Now that is trusting yourself! Go little bumbler! Another bee bum shot cause who could get enough of that little bumbler tush! Until we meet again may your day be bright and beautiful, bloom on! Thank you for beary much for Following, Upvoting & Resteeming ! That was a cool video thank's for showing it. 🤣🤣🤣 hahaha! So true @badmom Thanks so much! This post received a 3.4% upvote from @randowhale thanks to @beartribune! For more information, click here!